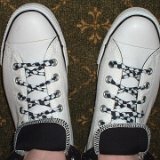 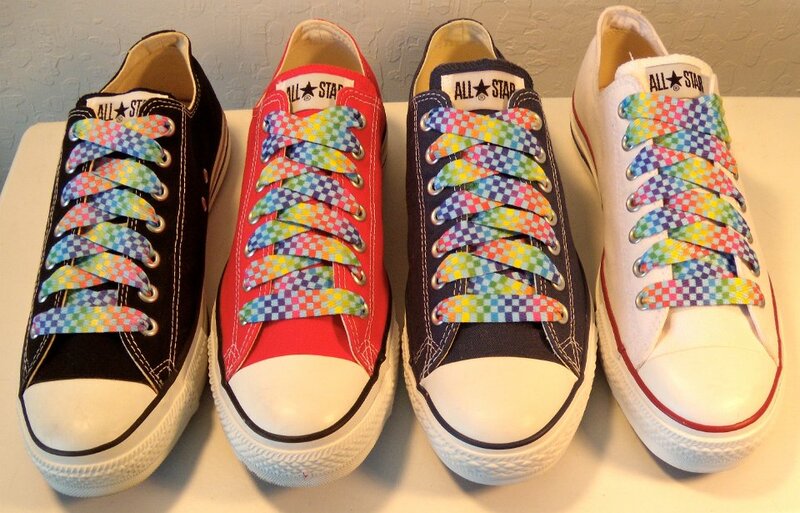 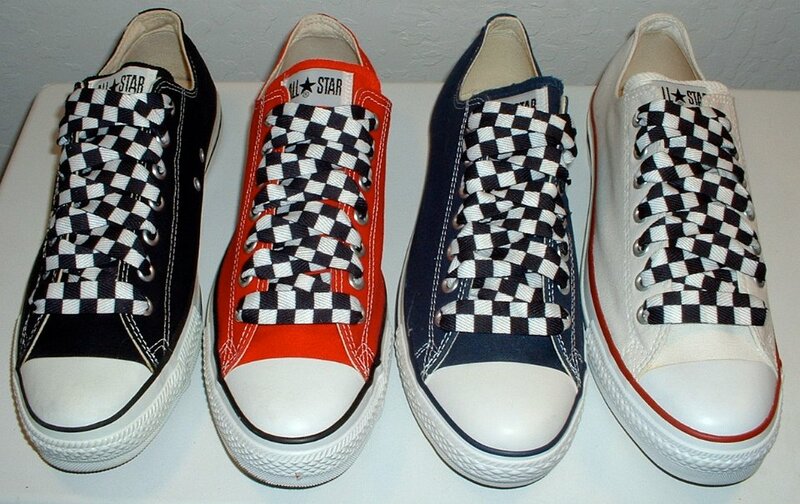 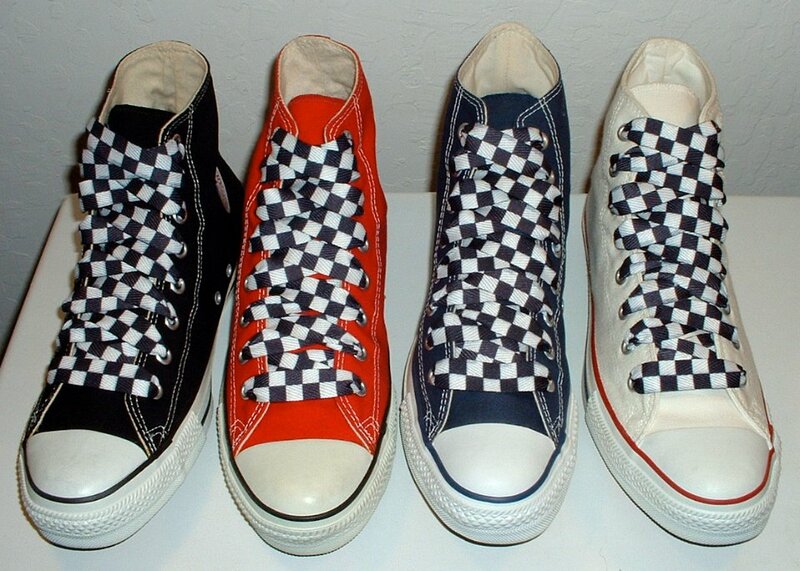 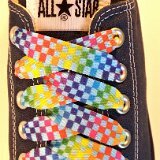 Photo gallery of checkered print shoelaces on various pairs of chucks. 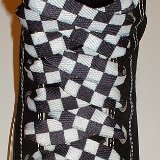 1 Checkered Laces on Chucks Black low cut with black and white checkered shoelaces. 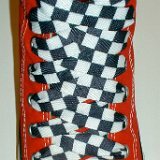 2 Checkered Laces on Chucks Red low cut with black and white checkered shoelaces. 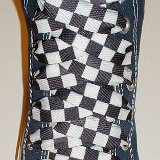 3 Checkered Laces on Chucks Navy blue low cut with black and white checkered shoelaces. 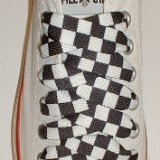 4 Checkered Laces on Chucks Optical white low cut with black and white checkered shoelaces. 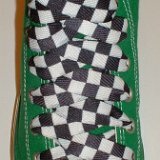 5 Checkered Laces on Chucks Core low cut chucks with black and white checkered shoelaces. 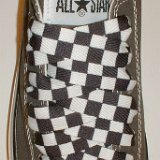 6 Checkered Laces on Chucks Charcoal grey low cut with black and white checkered shoelaces. 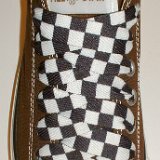 7 Checkered Laces on Chucks Chocolate brown low cut with black and white checkered shoelaces. 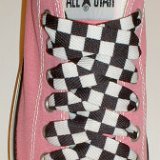 8 Checkered Laces on Chucks Pink low cut with black and white checkered shoelaces. 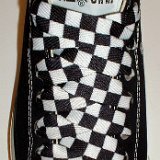 9 Checkered Laces on Chucks Black high top with black and white checkered shoelaces. 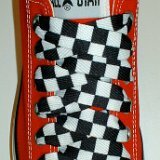 10 Checkered Laces on Chucks Red high top with black and white checkered shoelaces. 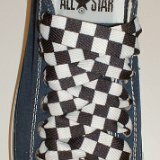 11 Checkered Laces on Chucks Navy blue high top with black and white checkered shoelaces. 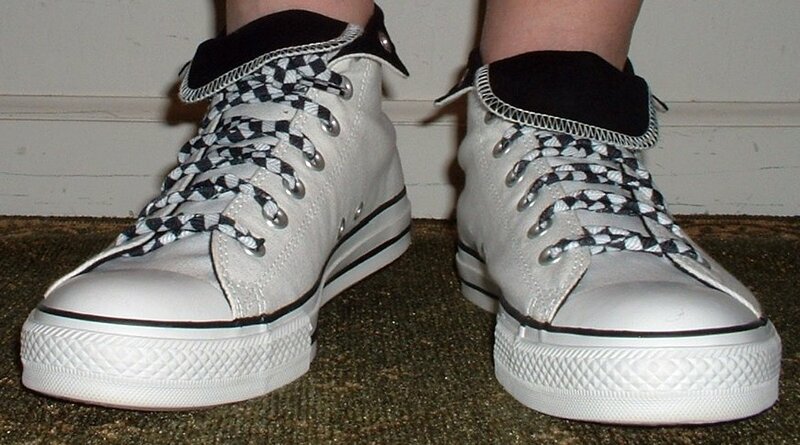 12 Checkered Laces on Chucks Optical white high top with black and white checkered shoelaces. 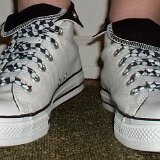 13 Checkered Laces on Chucks Core high top chucks with black and white checkered shoelaces. 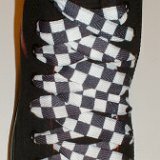 14 Checkered Laces on Chucks Anarchy black high top with black and white checkered shoelaces. 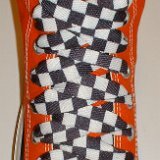 15 Checkered Laces on Chucks Orange high top with black and white checkered shoelaces. 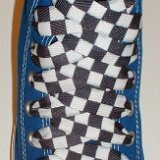 16 Checkered Laces on Chucks Royal blue high top with black and white checkered shoelaces. 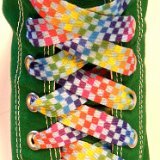 17 Checkered Laces on Chucks Celtic green high top with black and white checkered shoelaces. 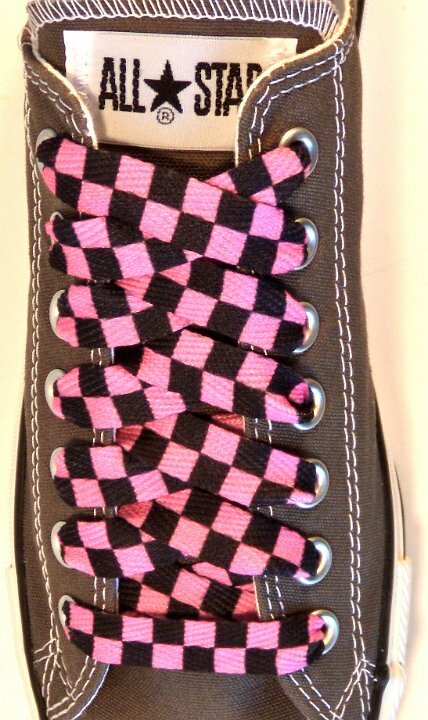 18 Checkered Laces on Chucks Charcoal grey low cuts with black and pink checkered shoelaces. 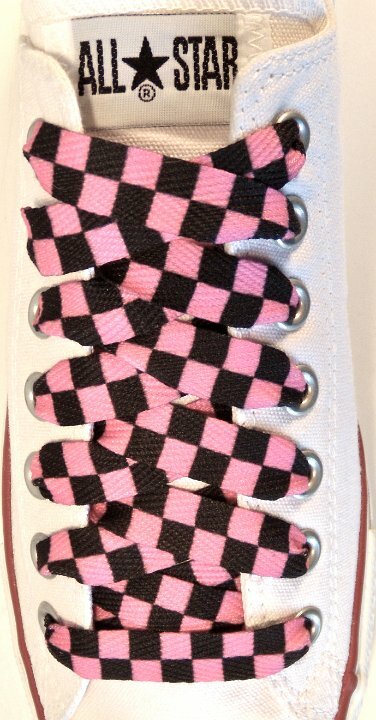 19 Checkered Laces on Chucks Unbleached white low cuts with black and pink checkered shoelaces. 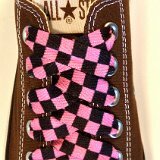 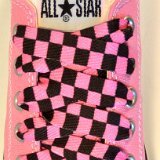 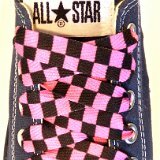 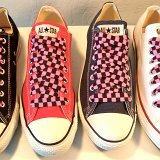 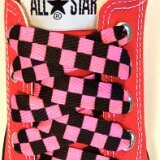 20 Checkered Laces on Chucks Pink low cuts with black and pink checkered shoelaces. 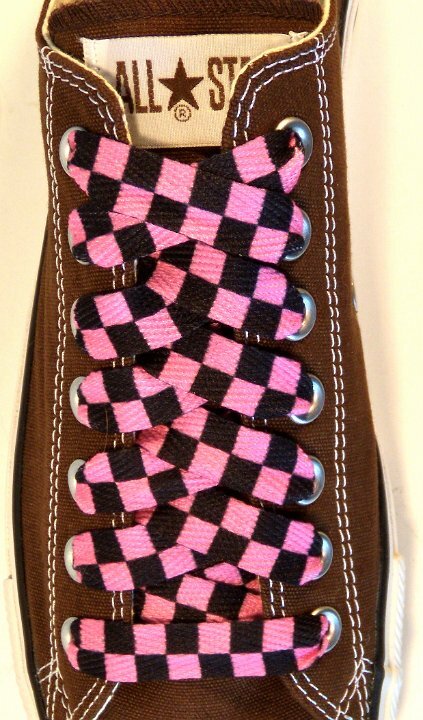 21 Checkered Laces on Chucks Chocolate brown low cuts with black and pink checkered shoelaces. 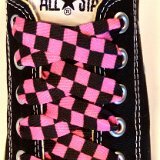 22 Checkered Laces on Chucks Black low cuts with black and pink checkered shoelaces. 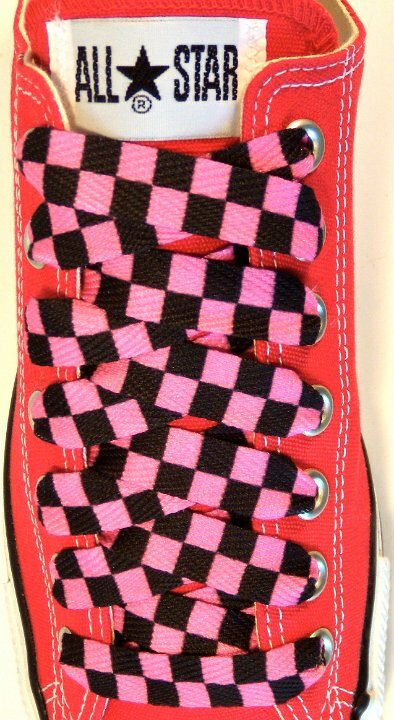 23 Checkered Laces on Chucks Red low cuts with black and pink checkered shoelaces. 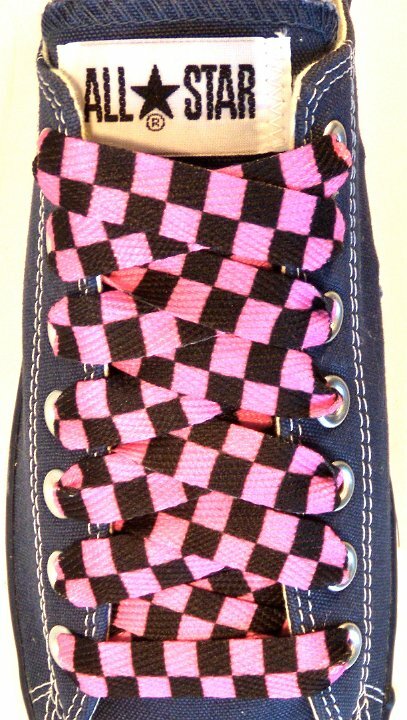 24 Checkered Laces on Chucks Navy blue low cuts with black and pink checkered shoelaces. 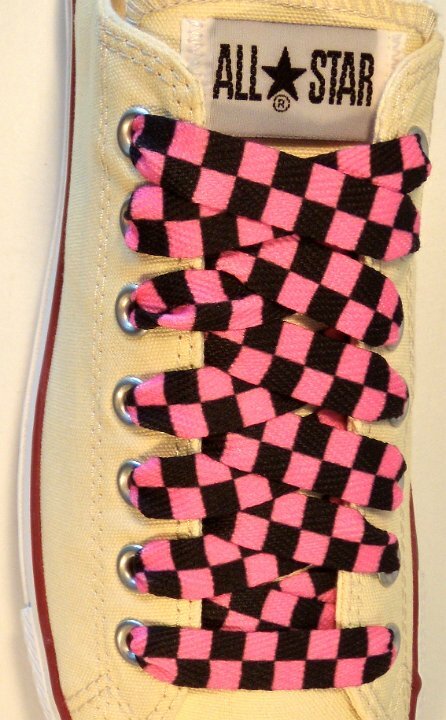 25 Checkered Laces on Chucks Optical white low cuts with black and pink checkered shoelaces. 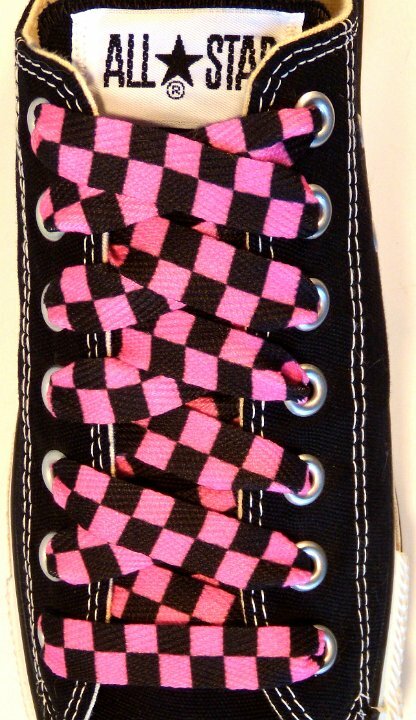 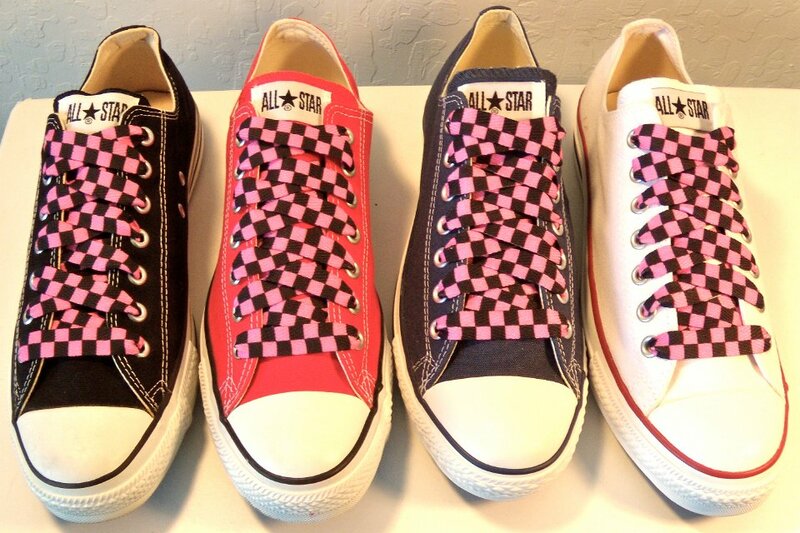 26 Checkered Laces on Chucks Core color low cuts with black and pink checkered shoelaces. 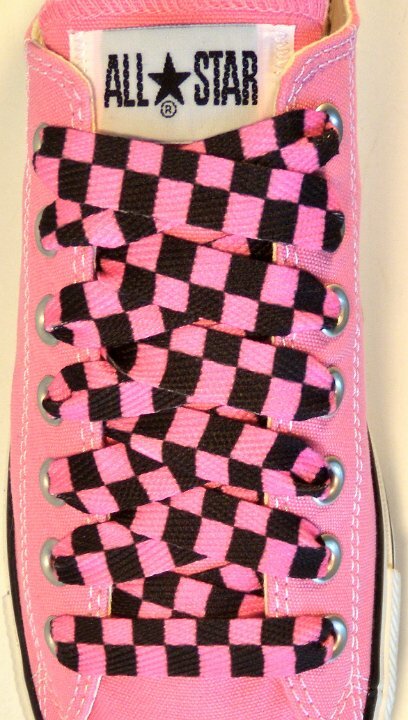 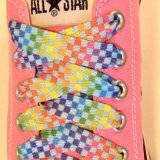 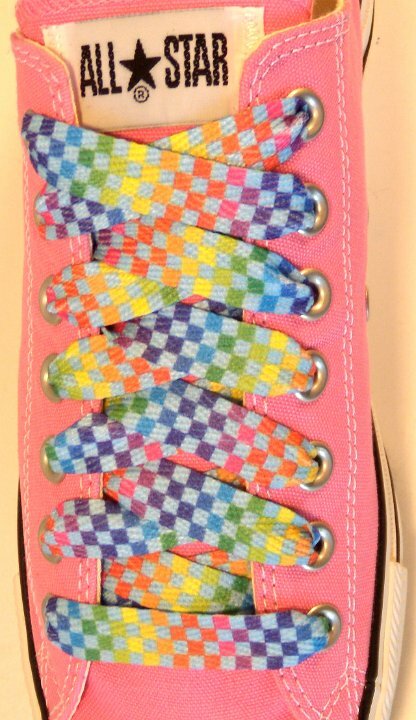 27 Checkered Laces on Chucks Rainbow checkered print shoelace on a pink low cut chuck. 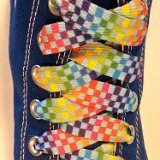 28 Checkered Laces on Chucks Rainbow checkered print shoelace on a royal blue high top chuck. 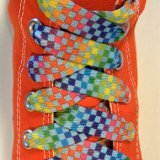 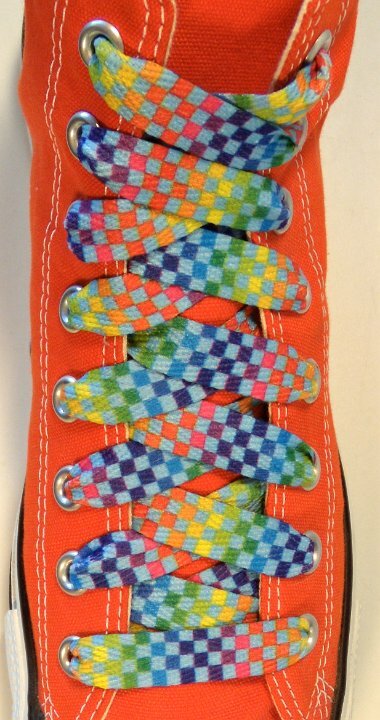 29 Checkered Laces on Chucks Rainbow checkered print shoelace on an orange high top chuck. 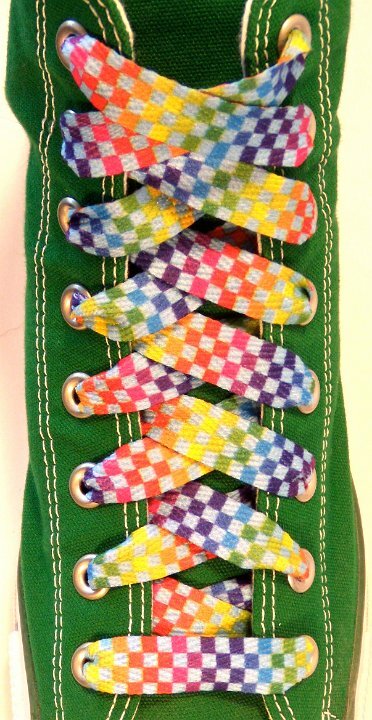 30 Checkered Laces on Chucks Rainbow checkered print shoelace on a kelly green high top chuck. 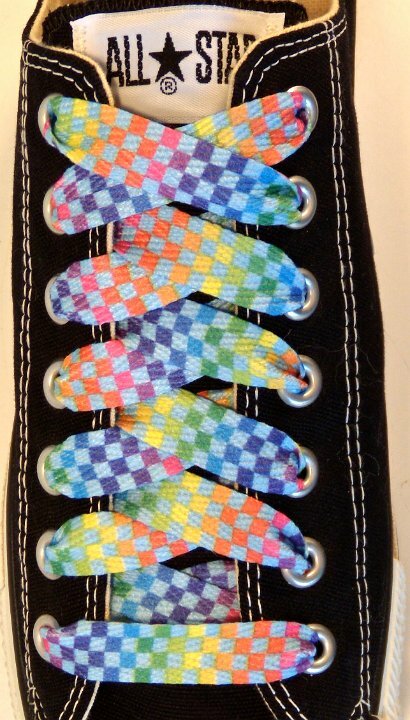 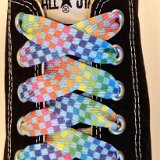 31 Checkered Laces on Chucks Rainbow checkered print shoelace on a black low cut chuck. 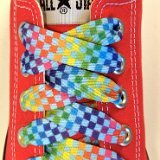 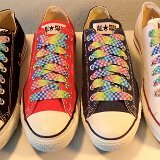 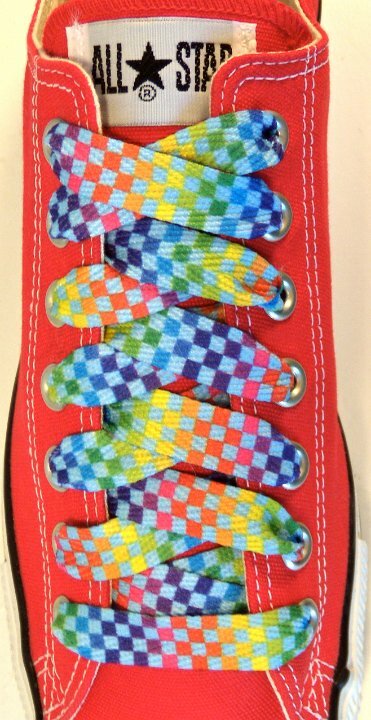 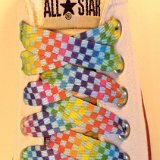 32 Checkered Laces on Chucks Rainbow checkered print shoelace on a red low cut chuck. 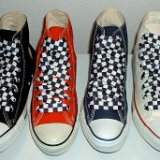 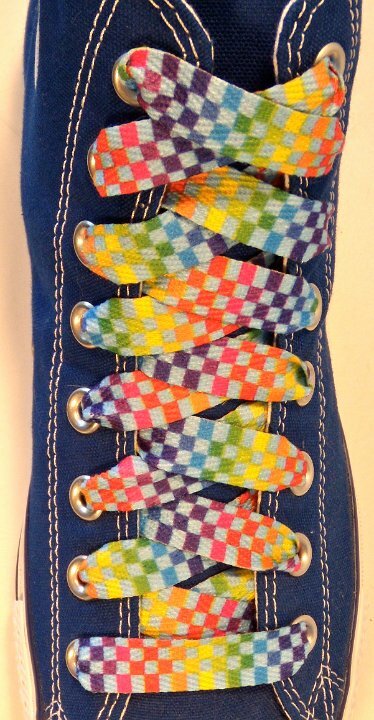 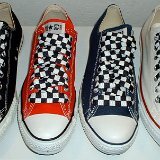 33 Checkered Laces on Chucks Rainbow checkered print shoelace on a navy blue low cut chuck. 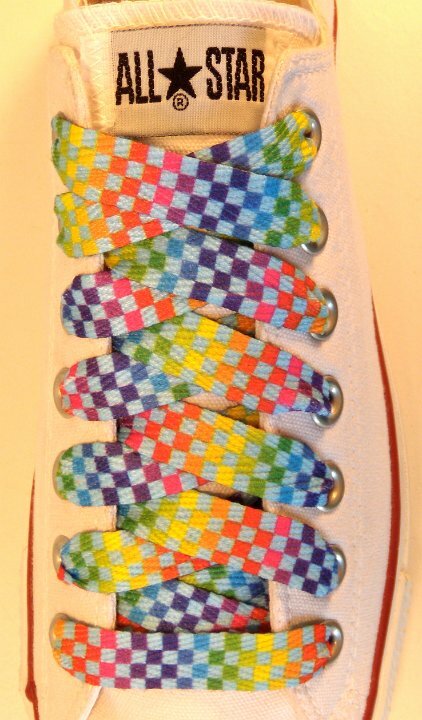 34 Checkered Laces on Chucks Rainbow checkered print shoelace on an optical white low cut chuck. 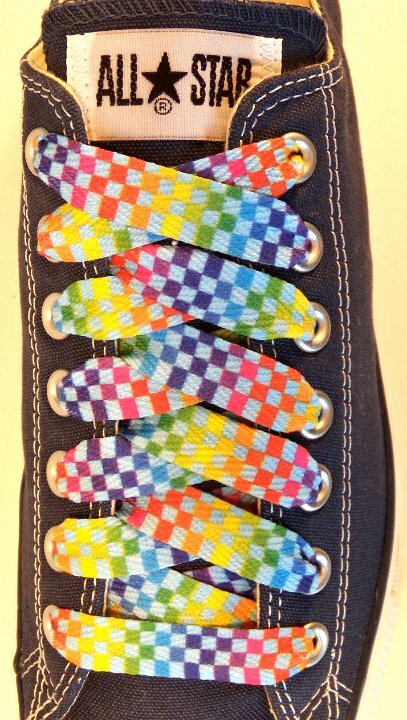 35 Checkered Laces on Chucks Rainbow checkered print shoelaces on core color low cut chucks. 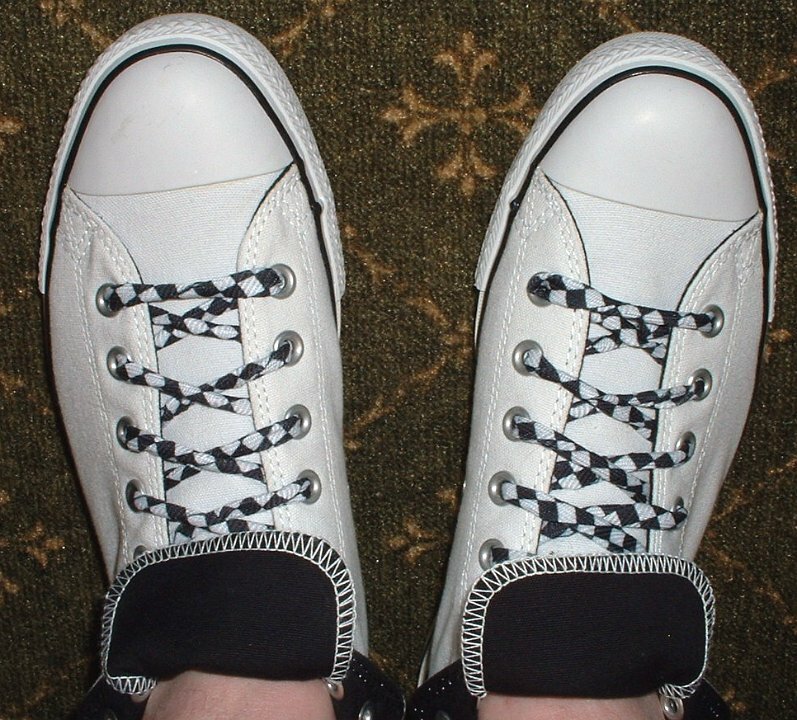 36 Checkered Laces on Chucks Top view of white and black foldovers laced with rolled up black and white checkered shoelaces. 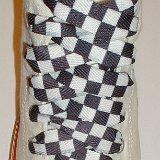 37 Checkered Laces on Chucks Front view of white and black foldovers laced with rolled up black and white checkered shoelaces.